Daniel Spuck felt that his Pittsburgh Steelers were screwed out of a playoff spot after officials overseeing the Chiefs-Chargers game didn't call a penalty that would have handed San Diego the likely loss, thereby giving the Steelers the final AFC postseason berth. Spuck took this bold stance against Roger Goodell from a Pennsylvania jail. Obviously, the civil complaint by Spuck—an inmate in Mercer County Jail—won't change anything, but it's an amusing read. The Baltimore Sun grabbed a copy of Spuck's document, and he apparently scrawled his entire injunction on two pages, clearly crammed for space. 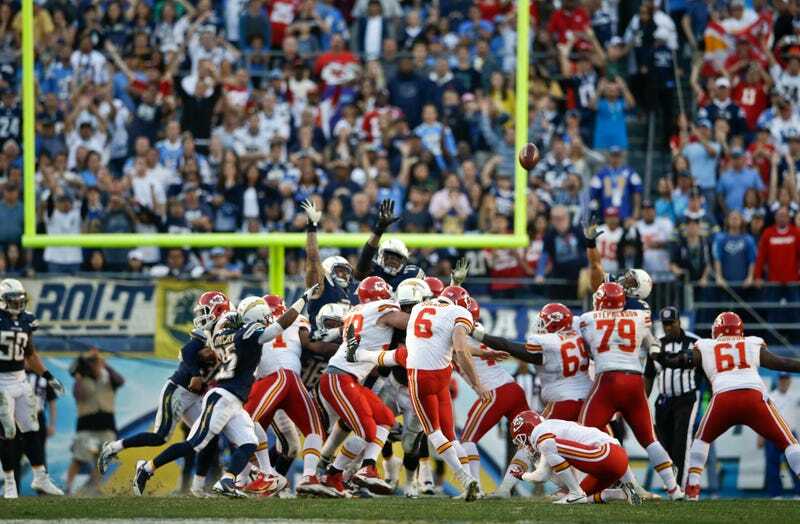 Some backstory for Spuck's frustration: After Succop missed a game-winning field goal in regulation on the a play that should have warranted an illegal alignment penalty for San Diego, the Chargers won in overtime, eliminating the Steelers. But Spuck knows how to solve all of this. He suggested that the NFL playoffs be halted—this was filed on Jan. 2, before the playoffs started—and Chiefs kicker Ryan Succop to be allowed a proper field goal kick, or that the Steelers and Chargers play one deciding game for the sixth seed. Spuck for commissioner! Don't strain your eyes reading it.